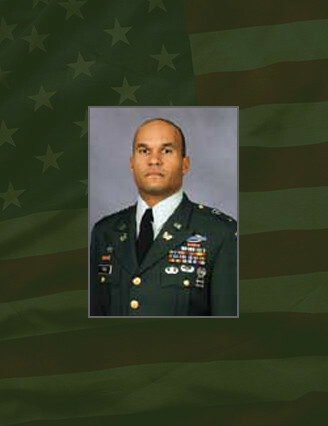 Chief Warrant Officer 2 Bruce E. Price, 37, a Special Forces assistant detachment commander assigned to 1st Battalion, 3rd Special Forces Group (Airborne) at Fort Bragg, N.C., was killed May 15 in southern Afghanistan when a coalition combat patrol was attacked by insurgents there. Elements of the 3rd SFG are deployed to Afghanistan in support of Operation Enduring Freedom. Price, a resident of Fayetteville, N.C., enlisted in the U.S. Army in 1986. After serving in a number of assignments, including an overseas tour in Germany, he volunteered for and completed the Special Forces Qualification Course in 1992 as a Special Forces weapons sergeant. After earning his green beret, Price furthered his military education by completing the Air Movement Operations Course, the Jumpmaster Course and the U.S. Army Ranger Course. Price became a warrant officer in 1998 after graduating from Warrant Officer Candidate School at Fort Rucker, Ala., and the Special Forces Warrant Officer Basic Course at Fort Bragg, N.C. He was assigned to the 3rd SFG on Nov. 21, 1998. He continued his service there with the group’s 1st Battalion until his death, participating in one deployment to Kuwait in 2000 and three deployments to Afghanistan beginning in 2002. His civilian education includes two years of general studies at Campbell University in Buies Creek, N.C. Price’s awards and decorations include the Bronze Star Medal, the Purple Heart, the Joint Service Commendation Medal, the Army Commendation Medal, the Army Achievement Medal, the Army Good Conduct Medal, the National Defense Service Medal, the Armed Forces Expeditionary Medal, the Global War on Terrorism Expeditionary Medal, the Global War on Terrorism Service Medal, the Humanitarian Service Medal, the Noncommissioned Officer Professional Development Ribbon, the Army Service Ribbon, the Overseas Service Ribbon, the United Nations Medal, the Combat Infantryman Badge, the Senior Parachutist Badge, the Air Assault Badge, the Ranger tab and the Special Forces tab. Price is survived by his wife, Renate, and his son, Aidan.